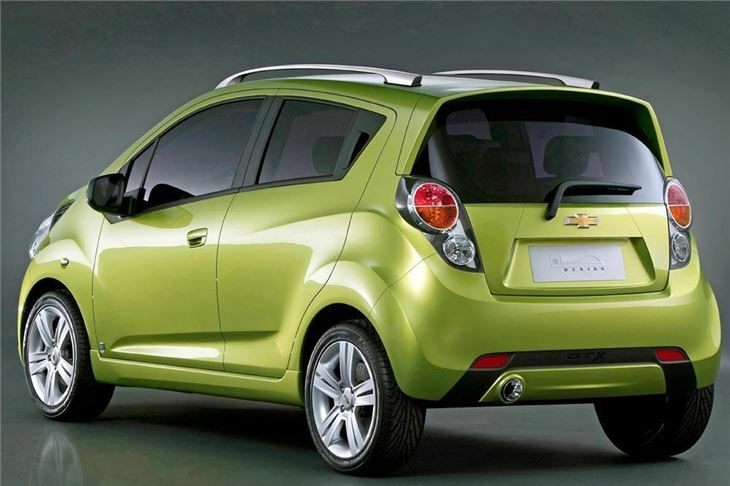 I confess, I wasn’t particularly looking forward to the Chevrolet Spark. 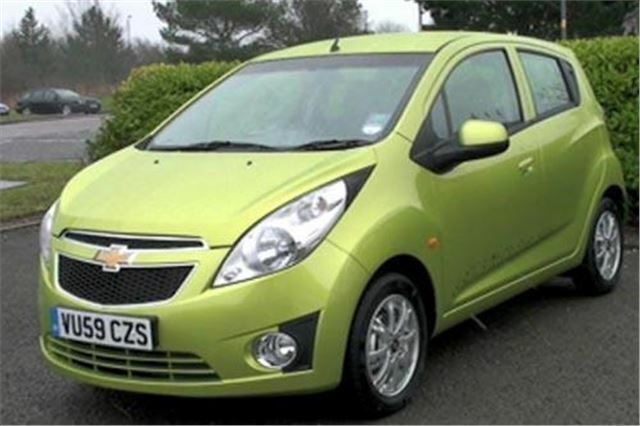 I’d thought it would just be an updated Chevrolet Matiz trying to punch above its weight in the same ring as the Hyundai i10, Suzuki Splash and Vauxhall Agila. And the blizzard conditions didn’t help. That’s not dandruff on my shoulders in the video. That’s snow. But I try to be open-minded. To look for features in a car that the others don’t have. To try and find some reason to recommend it over the competition. And the Spark slowly but surely won me over. 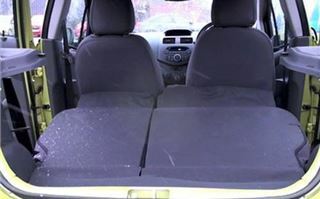 Firstly, it has the best back seat access of any small car. Your body simply inserts itself without any unnecessary bending. Front seats are easy too. So that’s two benefits for retired people who are getting a bit stiff and whose friends are as well. 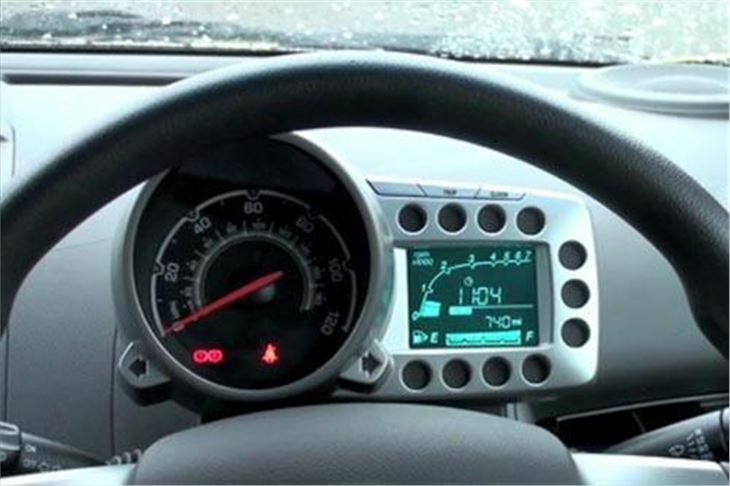 Sit in the driver’s seat and you’re confronted by a speedo flanked by a funky LED display showing engine revs, time of day, distance travelled and fuel left in the tank. 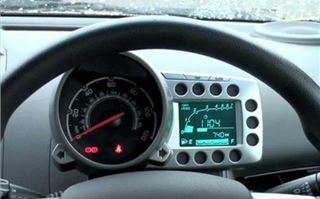 That and the speedo both go up and down with the height-adjustable steering wheel, so you never lose sight of them. 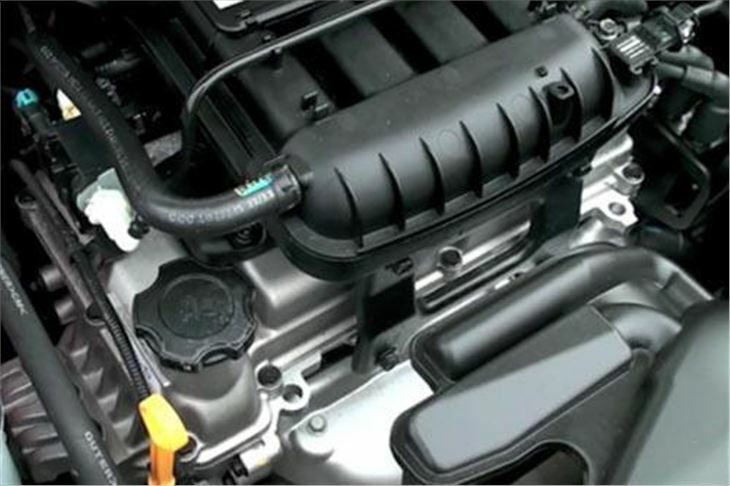 Rubber has been banned under the bonnet. The 995cc engine turned out to be twin-overhead chain-cam and had nothing in common with the little belter in the Matiz. 68PS isn’t a lot and neither is 93Nm (69 lb ft) of torque. But the engine stays sweet even if you rev it abusively and it’s not even too bad on the motorway, settling to about 3,200rpm at 70. However, because both maximum power and torque are developed rather higher in the rev range, it’s both happier and more responsive driving a little bit more quickly. Though, of course, it won’t be more economical. 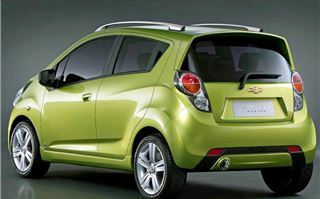 Chevrolet has sensibly gone soft in the suspension department, endowing the little car with excellent ride quality. Yet unlike the Daewoo Kalos of eight years ago, that ride quality is not at the expense of tyres that squeal at the mere sight of a corner. 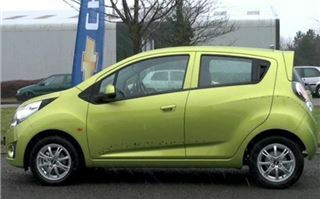 The Spark squidges its way round with a decent amount of grip that gives way to understeer earlier rather than later but is still an entirely acceptable price to pay for the shock-absorbing comfort it offers. Prices start at an attractively low £6,945 for the 1.0 base model, the kit on which is far from bargain basement. 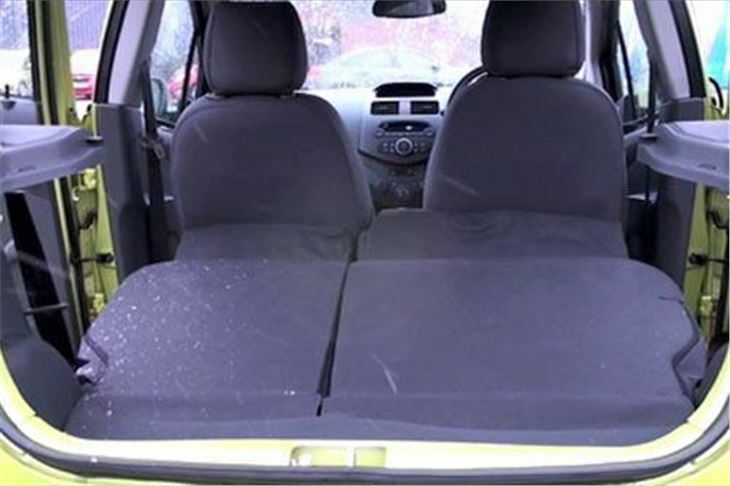 You get six airbags, front passenger switchable. Rev counter, height-adjustable steering, split folding rear seats, five 3-point seatbelts, radio; everything you really need. 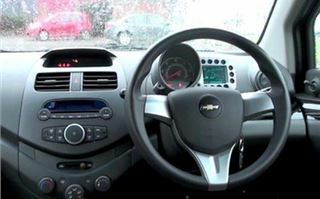 For £8,145 (an extra £1,200) has air-conditioning, electric front windows, central locking and a USB compatible 4-speaker stereo. A paltry £300 more gets you the LS I was driving, which comes with 14” wheels, foglights, remote central locking, body coloured doorhandles, mirror pods and spoiler and a chrome radiator surround. The 81PS 1,206cc engine costs you £350 more in the LS, bringing the total to £8,795. A further £500 buys the 1.2 LS Plus with electric windows front and rear, trip computer, heated electric door mirrors, roof bars and steering wheel audio controls. 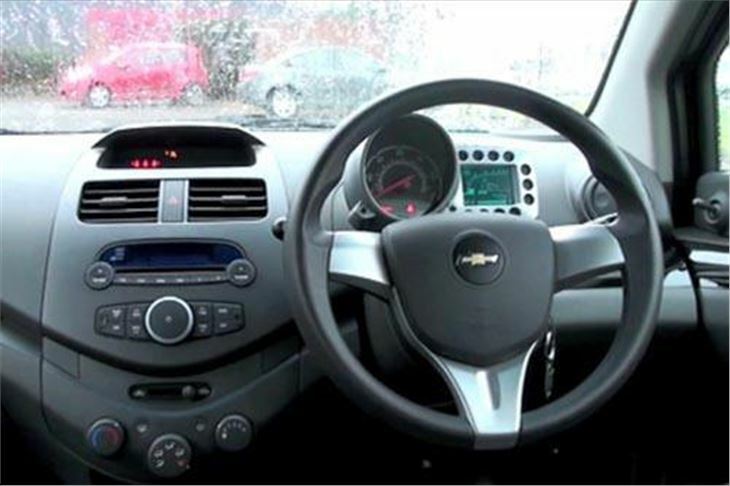 While for £9,845, the top model 1.2LT has 15” alloy wheels, climate control air conditioning, interior detailing, a body kit and a 6-speaker stereo. 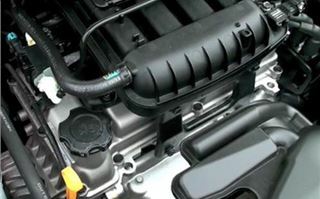 Both engines are certified to do 55.4mpg combined and emit 119g/km VCO2, which means no first year VED from April 2010 and only £30 a year tax for the following years. Insurance, too, is rock bottom, starting at Group 1E of the new 50 Group system for the base model, rising to 3E of 50 for the 1.0+ and the 1.0LS, 5E of 50 for the 1.2LS and LS+ and 6E for the 1.2LT. 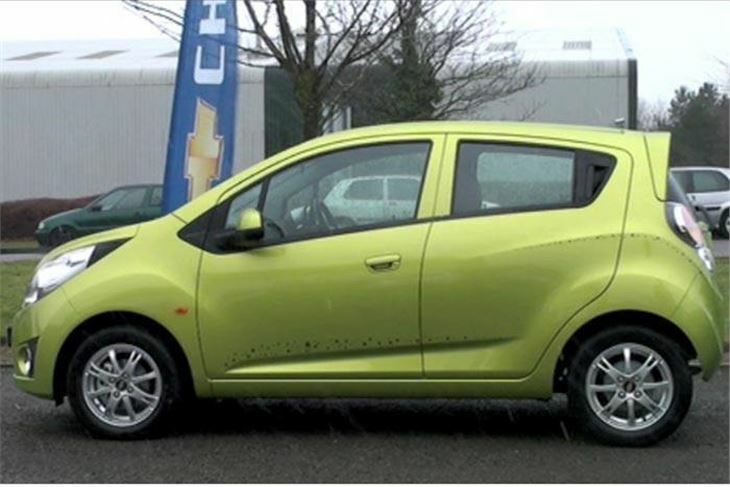 The question is, will the Spark become a new, fun young people’s car, or will it go the way of second car for school run mums and the legs for older, retired people. Well I had an idea about that. After Sarah Moore’s stunning victory at age 16 in last year’s Ginetta championship, why not start a young people’s rent a race series? 20 identical 1.0 litre Sparks that qualifying kids can rent to race, all prepared to the same standard, unreserved and chosen by lots so a driver could get a different car every race. It might make for some relatively slow, but safe and highly competitive racing. And will soon sort out the girls from the boys, as Sarah Moore proved last year. That could turn the Spark into a hot little car.